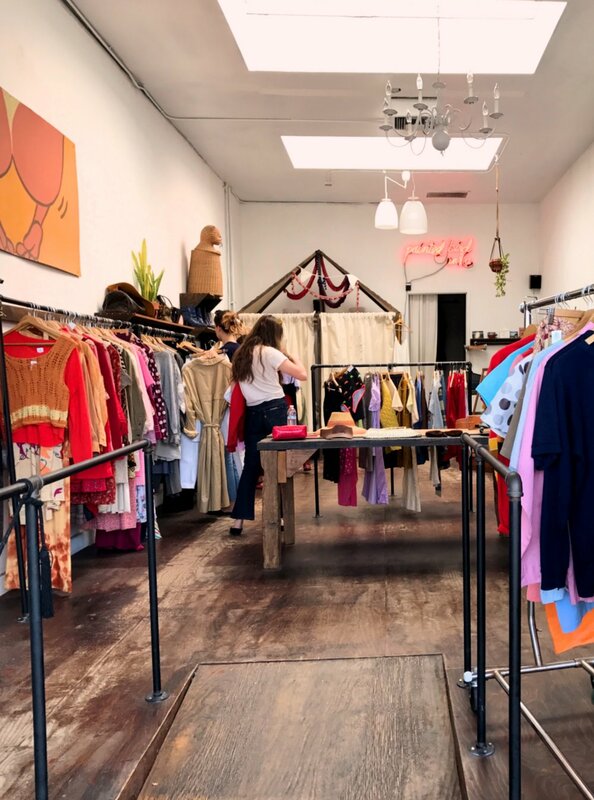 It's safe to say, that L.A is full of vintage stores - which for second hand lovers like us, was an absolute treat to discover! We actually did months of research and planning to make sure we aligned our calendar away to visit all the best vintage stores and flea markets in L.A, San Francisco + Portland. If you've been following along our tommie eco travel guides, you would have learnt that last year we took a month long trip all the way from Portland - San Francisco - L.A - Palm Springs - Joshua Tree - San Diego - L.A.
We were on a mission to discover all things second hand and preloved from vintage stores to thrift stores and flea markets across the country. 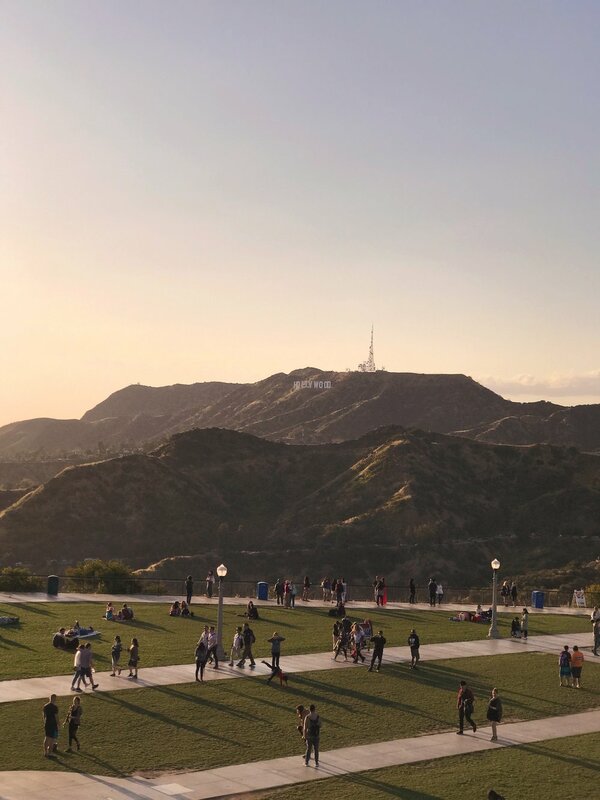 This is our round up of the best places we discovered along the way in Los Angeles. We hope these guides will inspire you to consider second hand on your next West Coast adventure. 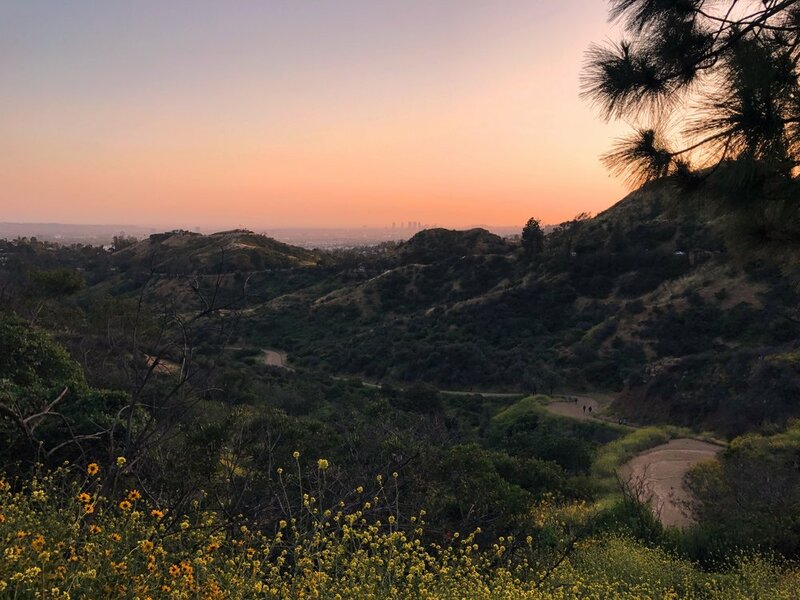 Let us know in the comments section below where your favourite places to shop vintage + preloved are in the city of L.A.
A huge wonderland of vintage from colourful 60's prints to western leather trimmed vests. You really need to sift through the racks here - so come prepared with treats and a reusable water bottle. They also have a $1 sale every Sunday in the parking lot if you like a good hunt! A hidden gem in Silver Lake on Sunset Boulevard with some really gorgeous, quality pieces and accessories. We found some awesome belts and near perfect gingham dresses. A great one to visit if you're a die hard vintage collector. 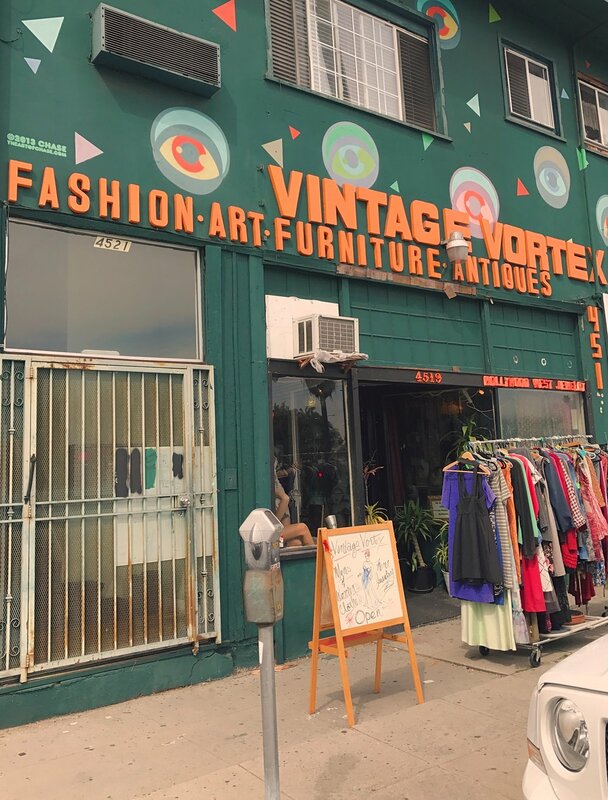 There are a few places in L.A to find high end designer vintage pieces if your pocket allows for it, and this is one of them. Think Oscar de la Renta colourful frocks, Christian Dior delicate lace and Comme De Garcons texture. The more high end pieces can be viewed on the top floor where you're supervised by a staff member - it really is like a clothing museum. The pieces are curated by Doris Raymond, a vintage entrepreneur and collector. She also houses an inspiration room open to big designers who are in need of inspiration for their next collections. The Way We Wore is the place to go if you want a stand our frock for a very special occasion. Nestled on a side street off of Sunset Boulevard is Worship vintage - in what looks like from the outside, a residential home. 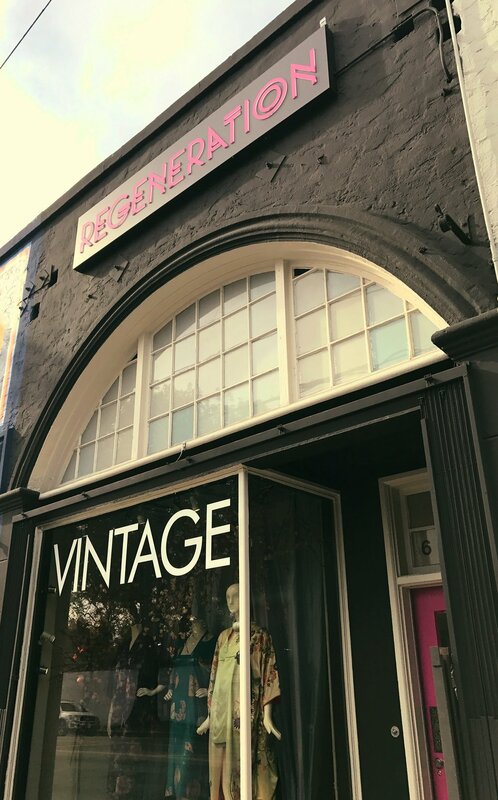 Step inside to a very well curated store of vintage from the 1900's - 1990's and modern designer pieces. A community driven establishment popular with hip local stylists's and musicians. Think 90's street grunge - slides, leather + denim jackets, 90's t-shirts, leather belts and slip dresses. 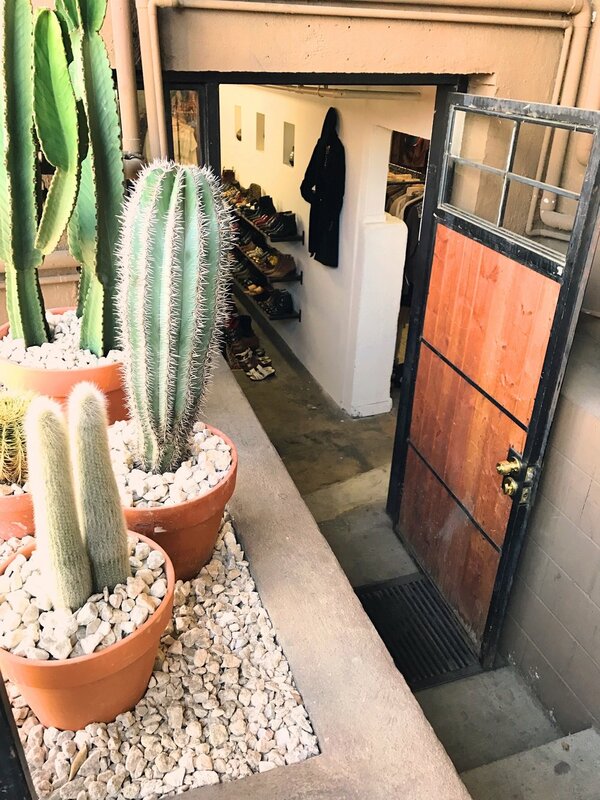 A two storey emporium with fresh vintage pieces, with a killer shoe collection on the top floor - a mishmash collection ranging from delicate knits to 60's plaid - an eclectic selection of mens + womens pieces. One of a kind rare collectors pieces from the likes of estate sales - lots of eclectic print, pattern and silhouettes. Think kimonos, block colour pant suits, bows and intricate embroidery. Definitely one of our favourites in L.A. A museum of history with a funky, hip edge! If you like a good rummage, then this is the store for you. This is jam packed with goodies - literally something for everyone in this store. 50's novelty print dresses to delicate lace 30s gowns, 70's retro print jumpsuits and eveything in between. Make sure you allow yourself a lot of time here as you're going want to really dig through the racks! 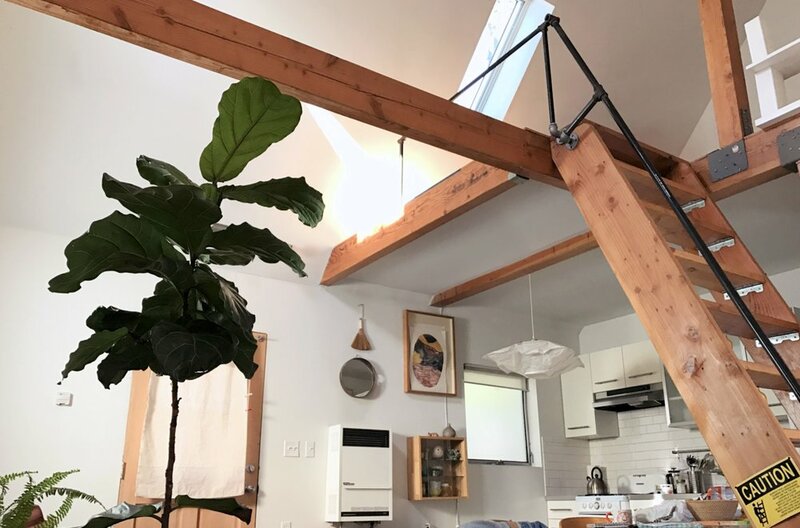 A gorgeous space to visit with novelty print specific pieces. 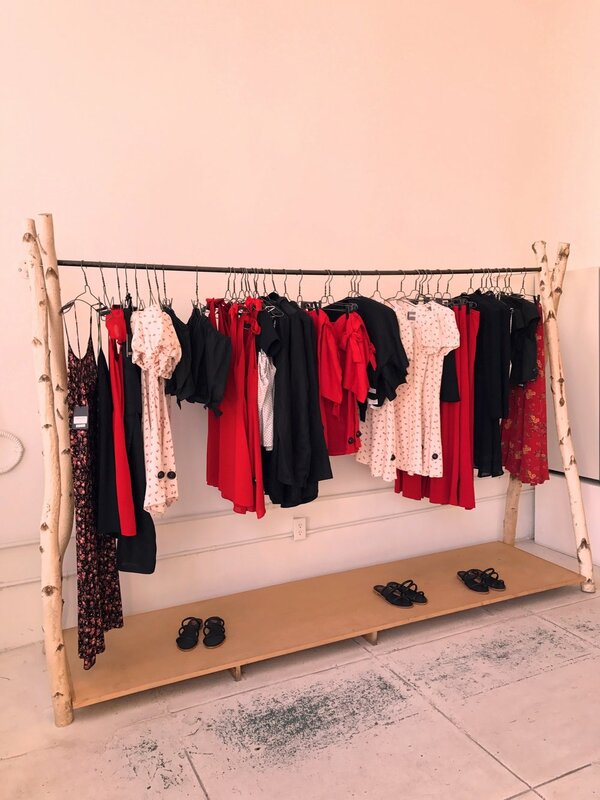 Female founder Nicole Loretta has curated a bricks and mortar space that includes her love for history, vintage fashion and photography. 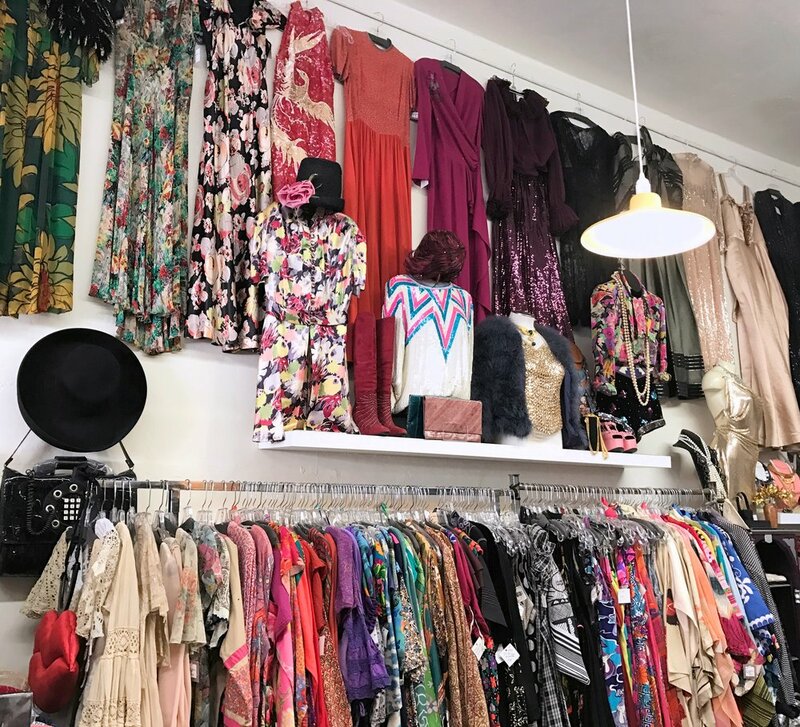 The store has a specific focus on 1920's -1950's pieces - think Hawaiian prints, south western rock and roll and 20's flapper dresses. Owner and curator Kari Smith has a keen eye for taking a vintage piece and making it look modern and on trend with an eclectic twist. Loads of pattern, colour and embellishment. A great space to visit if you're after a special occasion outfit - another two storey space with loads to feast your eyes on. 6109 Melrose Ave, Los Angeles. A huge downtown L.A warehouse full of cream and ivory lace wedding dresses beyond the eye can see, as well as pastel tulle floor length 50's prom gowns. 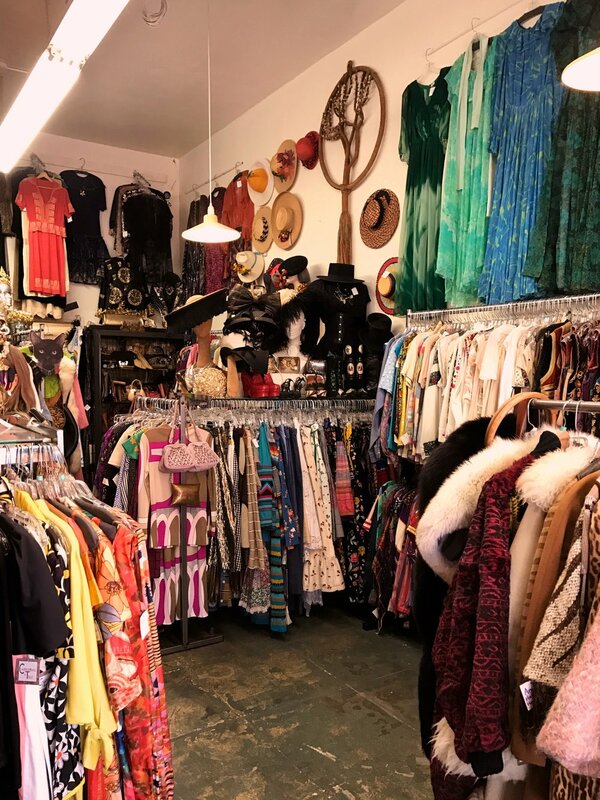 This is a vintage lovers wonderland! A huge open space in the middle of nowhere - there's no change rooms so don't forget to wear your knickers if you're visiting! This shop is a merchandisers dream, with differently themed rooms and props catering to different eras and decades. Another place where you need a lot of time to navigate through the space. Think extravagant hats, gloves, swim suits, jackets and loads of gorgeous 50's dresses! The dressing room is so much fun too - it's like a little set that has been merchandised just for you. The pieces are really good quality and at reasonable prices! Lots of different eras to choose from. 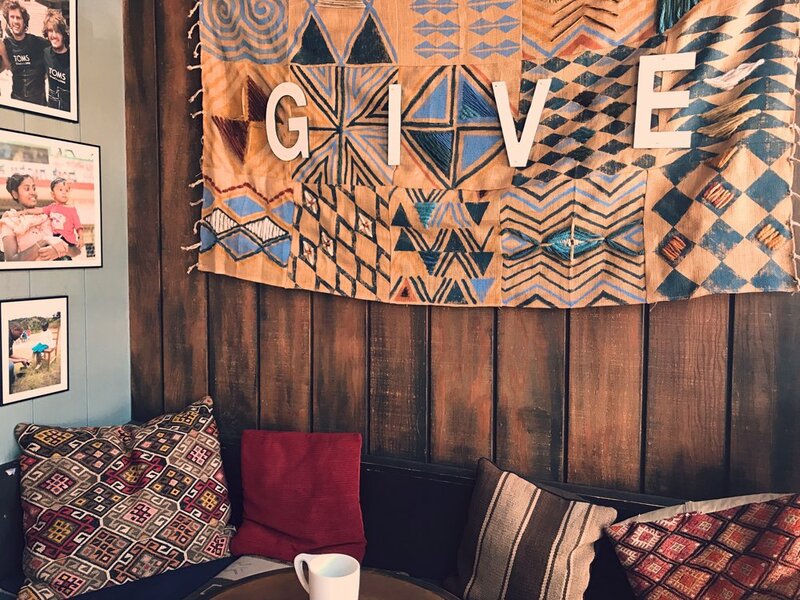 A bohemian vintage store with new designer pieces as well. Think white prairie dresses, tapestry detail, tan leather vests; 70's inspired with crochet details, denim and chambray. 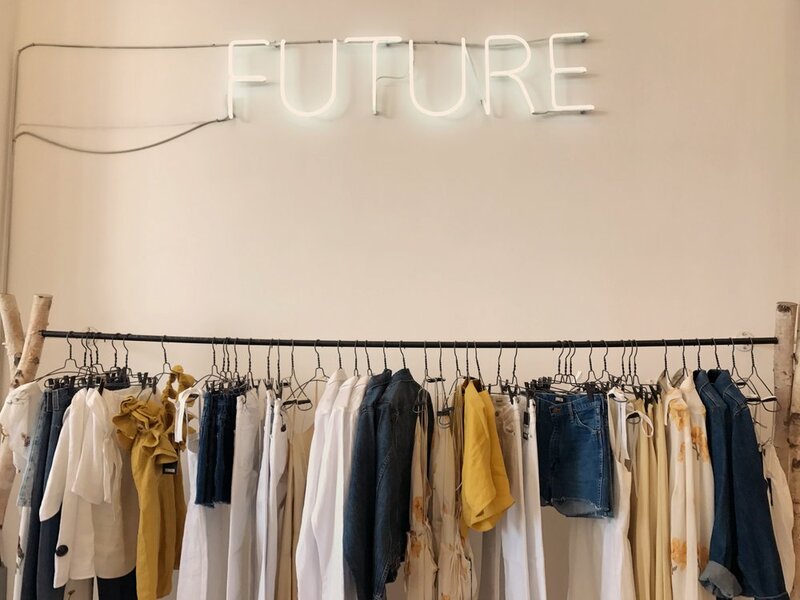 This is going down as one of our favourites stores we visited in L.A - not only is the facade a colourful, eclectic visual dream, but the pieces are very well curated. 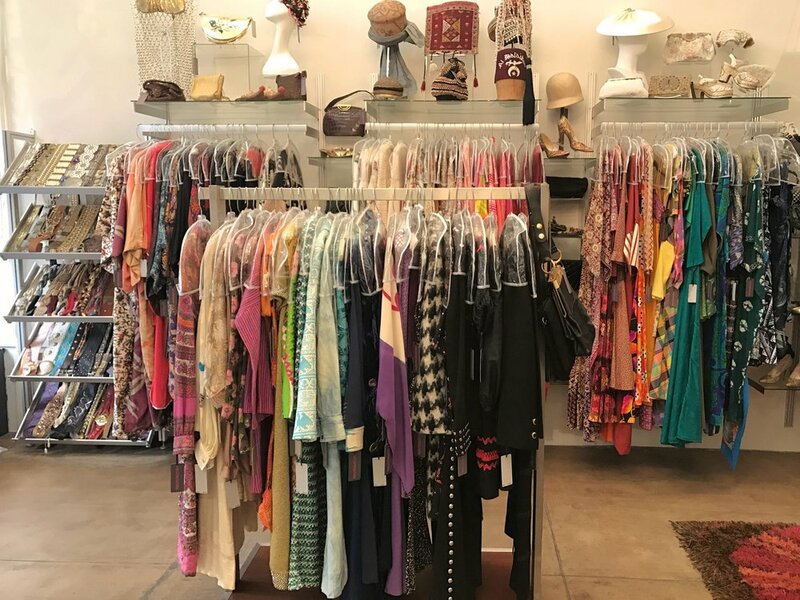 Lots of rare one of a kind garments - avant garde statement pieces with texture and structure - think ruffles and blazers as well as floral prints, brocade, embroidery, sequins, corduroy, chiffon and silk. Make sure to visit the store if you're in L.A you won't be disappointed! Offering a well curated selection of vintage garments as well as modern designer second hand consignment pieces. 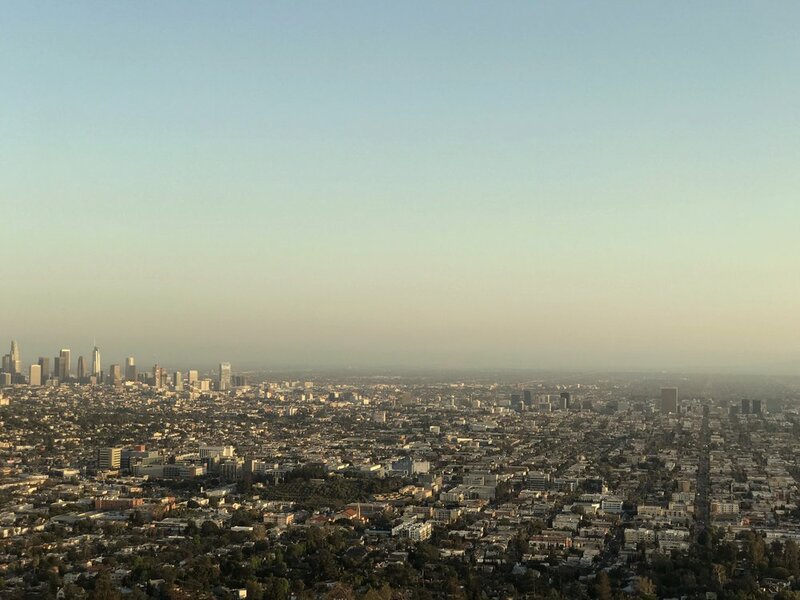 An underground store that you need to hunt for on Sunset Boulevard - take a look at our photos above for hints on how to find it. This store is a little more street and grunge - think leather boots and slides, leather coats, denim and dark brown fur jackets. Leopard print, snake skin, studs and hardware - a very well curated store if this is your style vibe. A rock musicians wardrobe with more modern day design flair. 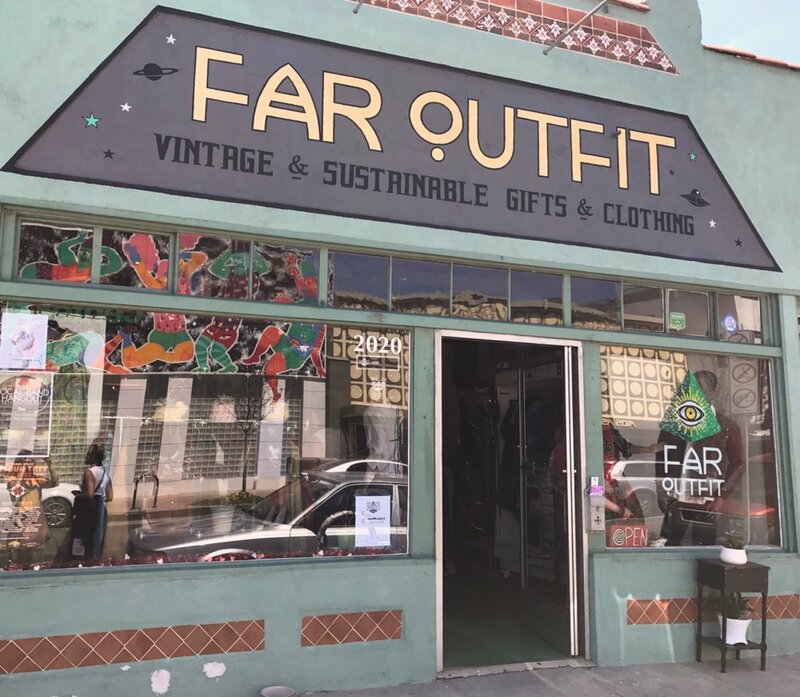 A cool concept store over in Long Beach with vintage threads focussing on the 60's and 70's as well as modern day sustainable fashion made from natural fibres. 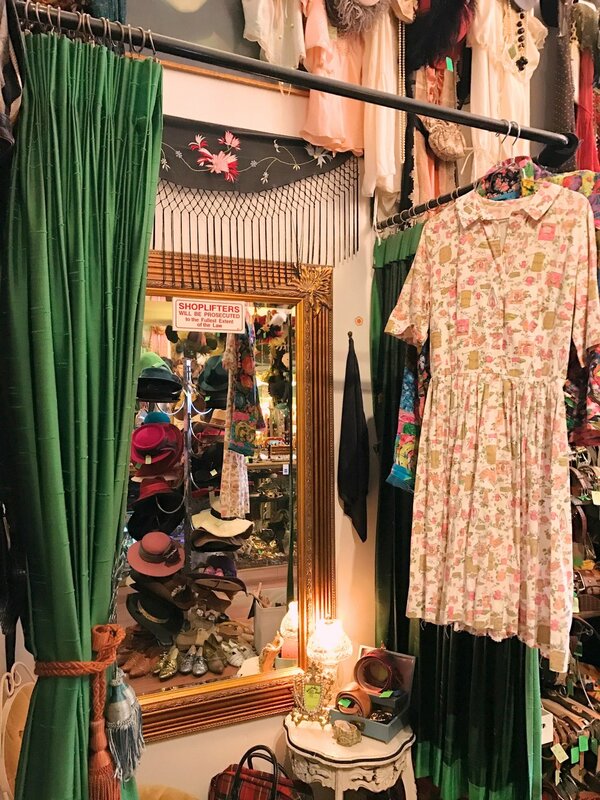 This is a real eclectic mix of all things vintage - you'll find pretty pastels and delicate sorbet knits, as well as psychedelic 70's graphic prints, along with vintage band t-shirts - it really is a vintage vortex. The store front is super cool with its green and orange signage, so it's definitely not hard to miss! Take your time here as there are some hidden gems at affordable prices! A consignment store with new and second hand items at really affordable to low prices. This is a second hand lovers dream if you like to shop for designer and brand name quality pieces. We found brands like Rag & Bone, All Saints + Opening Ceremony - spend time looking through the racks, there's a lot to see! And from what we could gather from visiting a few times, there is new stock throughout the week. There's several of these across L.A and prices start as low as $1.00 - you need to have a lot of patience and stamina as the racks are full to brim. We recommend going in with a specific item in mind, as having a goal can be less overwhelming when looking through the racks. Take a trolley from the front or bring one along so you don't have to limit your pile and juggle them across your arms. Clothes get heavy! Eat and go to the bathroom before hand and wear comfortable and easy to peel off pieces - wear slide shoes, or shoes with no fussy laces or high heeled uncomfortable shoes. And limit your layers. Take your bags so you can refuse the plastic bags they put your pieces in at the checkout. 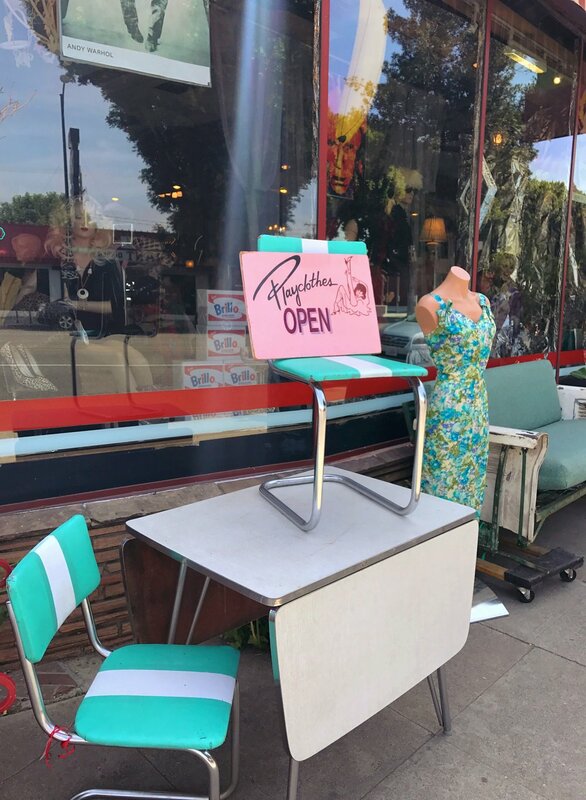 We visited quite a few of these across the USA - this one on La Brea Ave was definitely our favourite in L.A with some quality vintage pieces discovered. Look through the racks and try things on. The added benefit of L.A stores is that they open until quite late every night, so you can spend hours searching for your next preloved item! 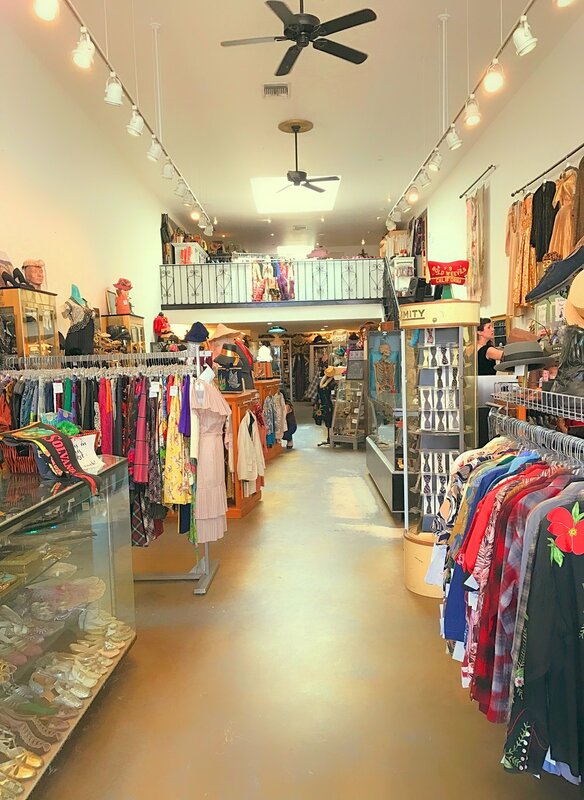 This is a great thrift store as profits go to the AIDS healthcare foundation - both locations we visited had some really great pieces at very reasonable prices. Both locations are a must visit. 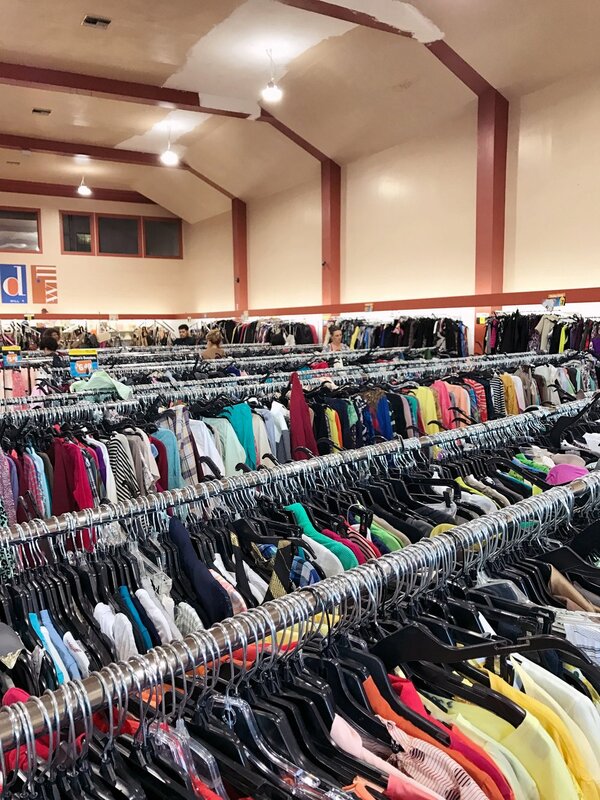 A resale shop where you can sell off your unwanted clothes for cash immediately! There is no need for clothes to end up in landfill, in the bin or on the streets with the resell, reuse, re-wear business model. You'll find designer and vintage pieces on the racks all in top notch quality! 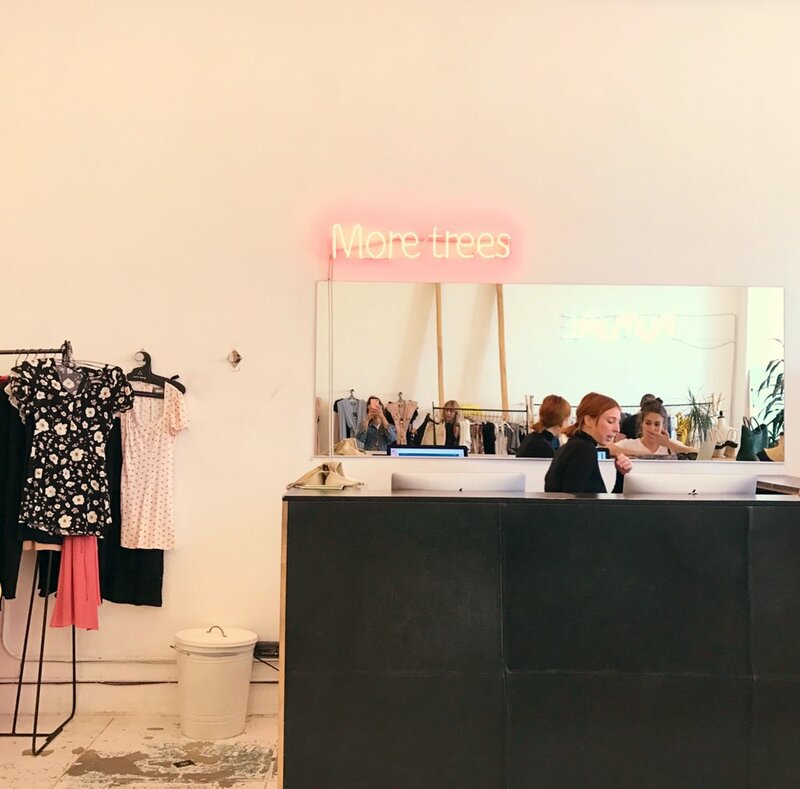 The Wasteland stores are such a fun shopping experience for the second hand lover with a modern day twist - they play funky hip hop + RnB tunes in their stores and the staff are very well dressed! 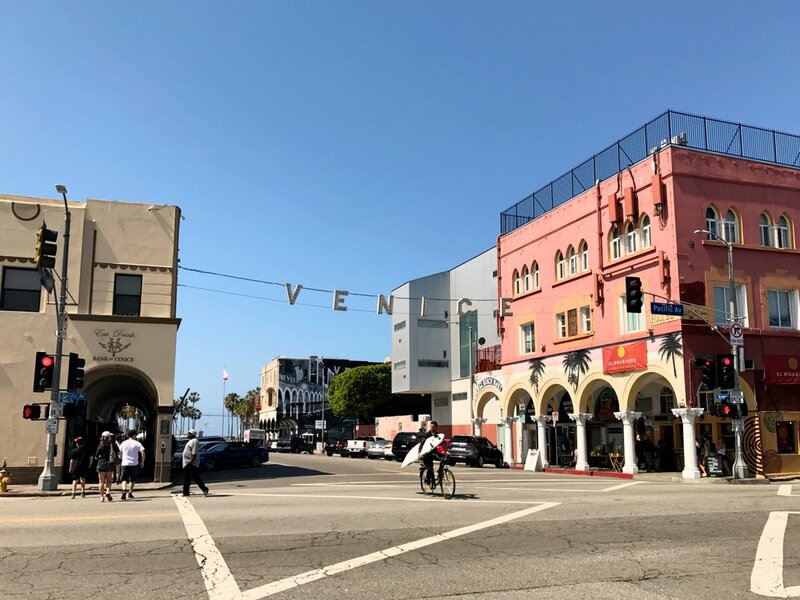 We visited a handful of flea markets when we were in L.A - some local Saturday markets and some more trade specific vintage + antique markets, with very early morning start times. Pattern galore at the Rose Bowl! Venice Antiques + Collectibles Market - vintage leather jacket finds! Pink light weight duster found at The Rose Bowl! The op shop found trolley that travelled to all markets from San Francisco to San Diego - donated it at the end of the trip back to an op shop! This is a weekly market on every Saturday from 12-5pm on the playground of the Micheltorena St. Elementary School. A cool, young and indie crowd of stylists's and photographers selling pieces from photoshoots and their own wardrobes. As well as hand made, start up creatives with pieces from their rages and collections. Set on on the corner of Sunset Boulevard this market is in a vibrant spot with Palm Trees lining the streets and beyond. A really fun flea to visit if you're in the neighbourhood. Don't forget to bring your own reusable tote bags, your reusable drink bottle for water and some snacks - there wasn't any food on the day *this may have changed since we visited*. A great way to spend the day catching up with friends and getting amongst the local creative artist community. On the third Sunday of every month, the Long Beach Antique is an open air flea market with 800+ vendors for serious vintage collectors, traders and businesses. We attended trolley and warm layers in tow as the 'early bird' arrivers whilst in the dark, headlights in hand and beanies on. The Early Bird ticket is a little higher in price at $12.00 and this gets you access to the flea for entry at 5.30am. Arrive a little earlier as there are queues already - this is for the hard-core vintage dealers, not for the faint hearted! You'll see things being unpacked from the back of trucks, so getting here this early gives you first dibs. Don't be afraid to haggle, stall holders welcome it and make sure if you are negotiating to have exact change. Take your trolley with you, snacks and reusable water bottle. 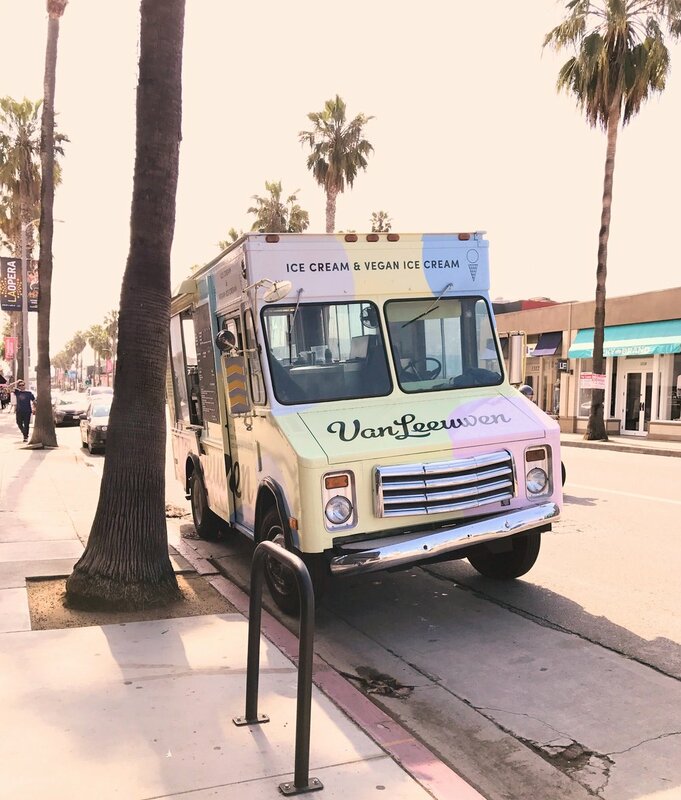 Every second Saturday of the month on the grounds of the Venice High School is the Venice Antiques + Collectibles Market. A lot of great stall holders here with gorgeous antique pieces. We found some beautiful jewellery from a lady who travelled from the mid west just to show her collection here. Lots of silver, turquoise earrings and rings. A relaxed vibe, with not a lot of foot traffic, but good for a casual Saturday shop. This is the market of all markets so we created a separate section for it! The Rose Bow Flea Market takes place on the 2nd Sunday of every month featuring over 2,500 vendors and 20,000 buyers each month, making it one of the most popular markets in the world. Out of all the places we visited on our one month vacation, this was the most grand of adventures. The Rose Bowl is a football field stadium, so when you couple this with a market - you have a whole lot of walking to do! Check the maps out before hand to see what section you want to visit on the day and we recommend if you're a vintage reseller to arrive for the VIP preview admission where doors open at 5.00am. There was already a long line when we arrived at 4.45am - a good trick is to bring a pal with you on the day so that one person can line up to save your spot whilst the other purchases tickets. The cost of the VIP preview admission is $20. Although higher in price to the Long beach market you're paying for access to WAY more vendors, so it's definitely worth it! It's very dark at this time of the morning so bring a head light torch so your hands are free to rummage the racks, its also very cold at this hour - wear socks, beanies and easy to peel layers as it gets super warm by the afternoon. Wear very comfortable shoes as you're doing a lot of walking on the day - it's a football stadium for goodness sake! Take easy things to snack on - bananas, home made protein balls, nuts and smoothies. Make sure to really inspect the pieces you buy at 5am, it's dark so you need to get up close to look for holes, discolouration and un done stitching. Make sure your trolley has oiled up wheels (I know this sounds ridiculous, but if you're the real deal when it comes to vintage like us, you're going to want to make your way from vintage store A to Vintage store B as swiftly as possible!) There are vintage buyers who do this every month - they who know where to go and what to buy - they literally scoop up all they can see and don't give it another thought. These are the buyers you'll be contending with. We were after specific pieces both personally and for the tommie store, so we made sure to take care with our purchases. Also make sure to take cash with you in smaller denominations like $1 + $5 dollar bills so you can barter easily. Do the rounds, as stall holders take time to unpack items from their bags and you're bound to discover something you didn't the first time. If you REALLY love something don't leave it to the later part of the day to haggle with stall holders - FOMO (fear of missing out) stings when it comes to vintage - it's irreplaceable and one of a kind. If you're like us and have travelled half way across the world for it - you should buy it and give it a loving home. Last but not least, have fun! The Rose Bowl is such a fun day out! If you haven't heard of Reformation, they're a US brand tackling the issue of sustainability without compromising style. They're transparent in how they go about business and are the first to admit they're not perfect, but are going to lengths to not only operate the best they can, but also use as many sustainable fibres as possible. Their focus is on e-commerce and having few retail stores which means operating this way uses 30% less energy than having multiple stores and wholesalers. 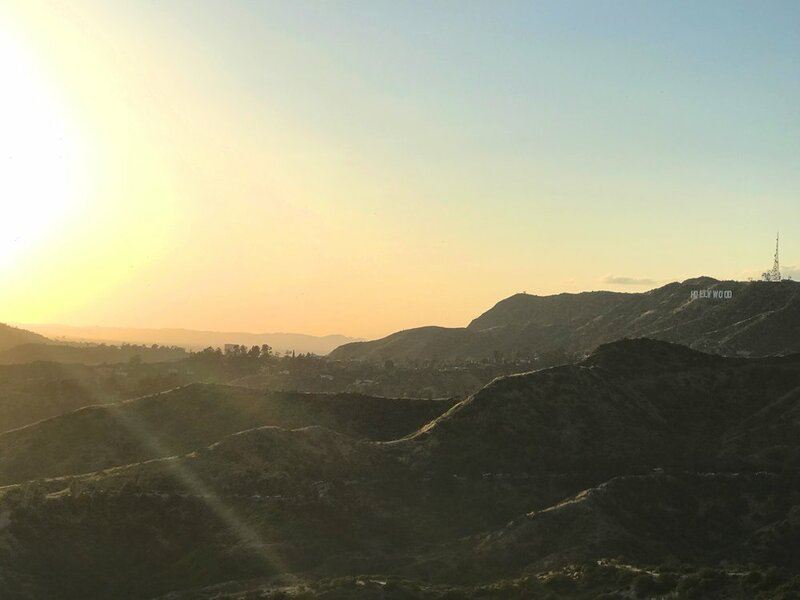 They source their raw materials locally to have a supply chain that is as sustainable as possible, making sure to put the environment at the forefront. They used recycled paper hangers, reusable tote bags and promote conscious washing on their care labels. 8253 Melrose Ave, Los Angeles. Emerging label 'Clawdi' upcycling jeans + bedding to create new garments. how to travel in the city of San Francisco with sustainability at the forefront.